HaSharim (Hebrew for the singers) is Temple Isaiah's adult volunteer choir under the direction of Cantor Tifani Coyot and Mary Ekler. HaSharim sings at High Holiday services, at special Shabbat services, and at community events. The choir's repertoire range from classical synagogue masterpieces from the 19th century to contemporary works echoing the sounds and rhythms of today's most popular Jewish composers. If you love music and want to deepen your knowledge of Jewish prayer, consider joining HaSharim. HaSharim has sung at the World Festival for Sacred Music, interfaith choral festivals, the Hollywood Bowl, ordination for Hebrew Union College, the American Conference of Cantors National Convention and the John Anson Ford Theater. 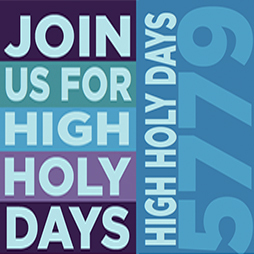 If you enjoy singing and are looking for a musically and spiritually rewarding experience, please join us as we lead the congregation in prayer and song this High Holy Days season. No prior choral or vocal experience is needed, just the willingness to commit to the following rehearsals. If you would like to be part of this musical chavurah, please contact Cantor Coyot at 310.277.2772 ext. 19 or cantortifani@templeisaiah.com.